PowerGear Tools For Super Gardeners! Introducing the PowerGear range from our friends at Fiskars – Powerful tools for super gardeners! The PowerGear Steel Hedge Shears are an exceptional pair of garden shears for anyone keen on trimming hedges or hedge care in general. Whether you’re shaping your Westringia or pruning your Prostranthera, these will make the job a breeze! With extra lightweight and strong handles and a special steel PowerGear mechanism, cutting is easier, safer, and more comfortable. The blades are made from extra hard, corrosion resistant steel (CrMoV). This ensures they stay sharper for longer while their non stick PFTE coating on their upper blade reduces friction and also assists cutting. We also love the cushioned stoppers in the tool, which are there to protect hand muscles whilst you’re trimming for a longer amount of time. The PowerGear Steel Bypass Lopper is simply superb for tree pruning. It features stiff aluminium handles which maximise the power used between the blades. The PowerGear mechanism is especially important in this tool’s technology, focusing in the middle of the cut where power is most needed. The upper blade of this lopper is made from high quality hardened carbon steel with a non stick PTFE coating on upper blade to reduce friction and make cutting and cleaning easier. The cast aluminium anvil blade ensures more efficient lopping and cutting of branches thanks to its robustness. The PowerGear Bypass Pruner is the most comfy and clever secateurs you will use. From cutting a Callistemon to dead-heading a Grevillea, this will do a beautiful clean job with no strain on your hands. Thanks to the PowerGear technology, all your fingers are used simultaneously and exert an equal but reduced pressure for maximum power and less effort on every cut. Extra hard corrosion resistant steel (CrMoV) ensures they stay sharper for longer, whilst the non stick PTFE coating on the upper blade reduces friction and makes cutting and cleaning easier. You can watch the movie featuring Fiskars’ previous Chief Product Designer, who created the PowerGear, illustrating the benefits of the pruner and why it was designed. 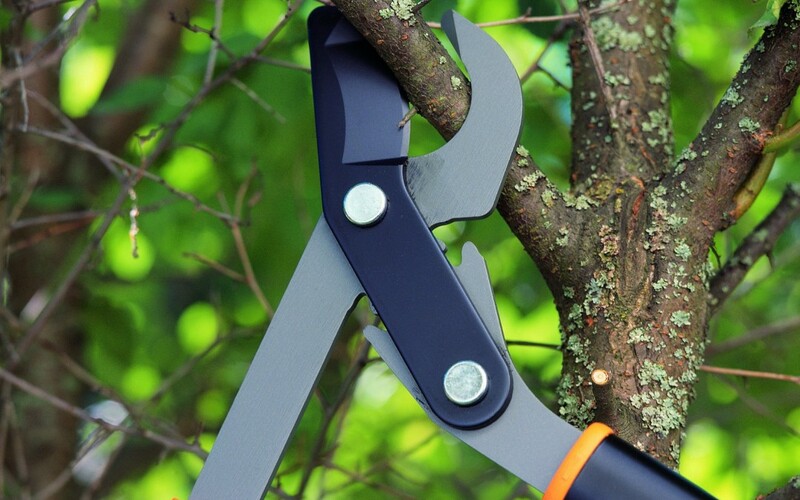 Once again Fiskars provide a high quality and comfortable tool, for any gardener!